The effects of Hurricane Harvey are being felt by thousands of Texas residents, and now it’s affecting the Houston Texans and the NFL’s schedule. Since Hurricane Harvey made landfall in Texas two days ago, life in the Lone Star State has been disrupted. The Category 4 hurricane, with winds of 130 mph, has been affecting millions of Texans with unprecedented flooding, which the National Weather Service is anticipating could reach 50 inches in some areas. Now, the Houston Texans are feeling the effects as well. 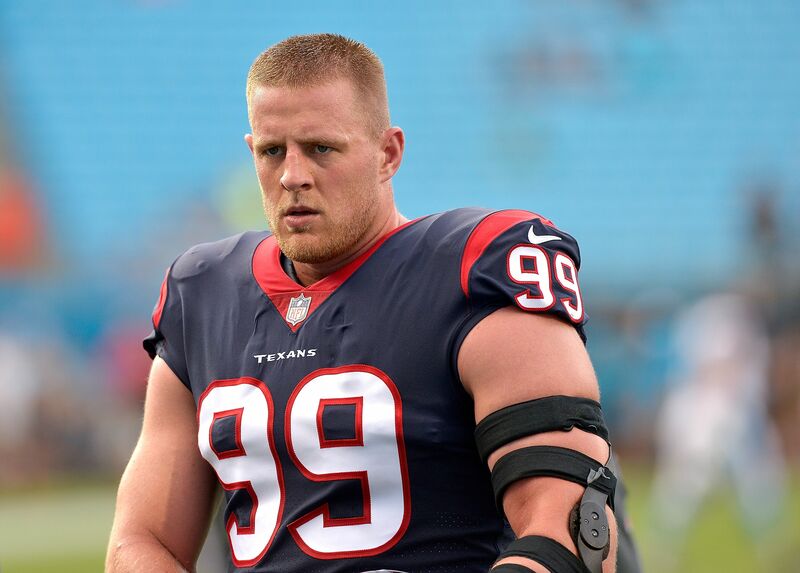 According to Jane Slater of the NFL Network, the Texans will stay in Dallas to practice, as they prepare for their Thursday night matchup with the Cowboys in Week 4 of the NFL preseason. The game was originally scheduled to be played in Houston, but the Cowboys have offered to host it in AT&T Stadium in Dallas. At the time of publication, there had not been an announcement from the NFL about moving the location of the game. However, it would be a smart idea. BYU and LSU were scheduled to play at NRG Stadium in Houston on Saturday, but it appears that game will be moved. LSU has offered to host the game in Baton Rouge and also tossed out the idea of playing it in New Orleans. Football is far from the priority at this point, though. It was 12 years ago when Hurricane Katrina came through and devastated the people of Louisiana, and it’s unsettling to say Harvey is bringing back those painful memories for a lot of people. Football served a role in the healing process back then. Maybe it can serve a similar role this time around, too. Plenty of Louisiana residents took shelter at the Mercedes-Benz Superdome back then. Maybe something similar can be arranged for the good people of Texas, too. Plus, who knows what can happen on the gridiron. When the Saints won Super Bowl XLIV, it provided an uplifting experience for the community. When everything is said and done, bringing the Lombardi Trophy back to the Lone Star State would make a lot of people forget their troubles — as is the purpose of sports.